Perched above the most picturesque bay in Nevis, Villa Oasis offers the ultimate panoramic views. From the popular Oualie Beach, across the Narrows to the beautiful St Kitts peninsula, this home was built and designed to embrace the incredible location. 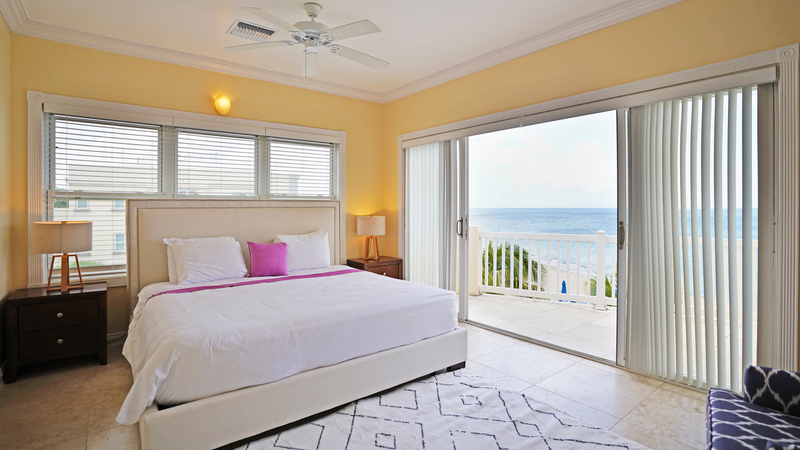 The newly renovated property boasts charming West Indian style combining the best of traditional Caribbean architecture with gingerbread trims, lattice wood work with the best of tropical living. The huge veranda is undeniably its best feature comprising 1,100 square feet of multi functional space. A recently built pool/jaccuzi with a two tier sun deck allow for private sunbathing while gazing at the blue waters of the Caribbean Sea. Open kitchen: with wood lattice cabinetry recently remodeled. Stainless steel appliances including fridge/freezer, dishwasher, gas stove and electrical oven. An island sitting 4 people easily, creates a transition to the spacious living area. Living area: Casually furnished for informal living, natural materials with contrasting splashes of bright colors create an intimate and vibrant sitting area. Large double doors opens unto the veranda. Comfortably furnished, the locally made four poster bed faces the sea. Walk in closet and a functional bathroom complete the sleeping accommodation. A replica of the master bedroom, the guest bedroom is located at the other end of the villa benefiting from privacy and the same unadulterated scenery. A laundry room with washer/dryer and storage space is conveniently located neat guest bedroom. Two level pool deck totaling 665 square feet provide idyllic lounging space while enjoying the panorama. Large parking area, right by the entrance of the house allows for several cars.